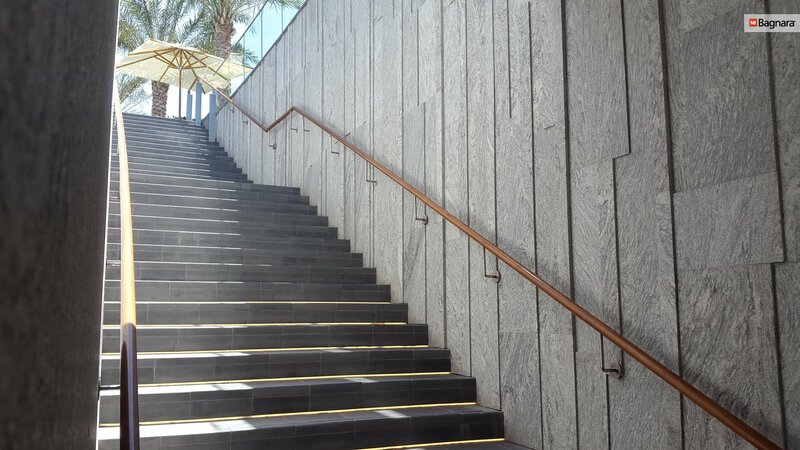 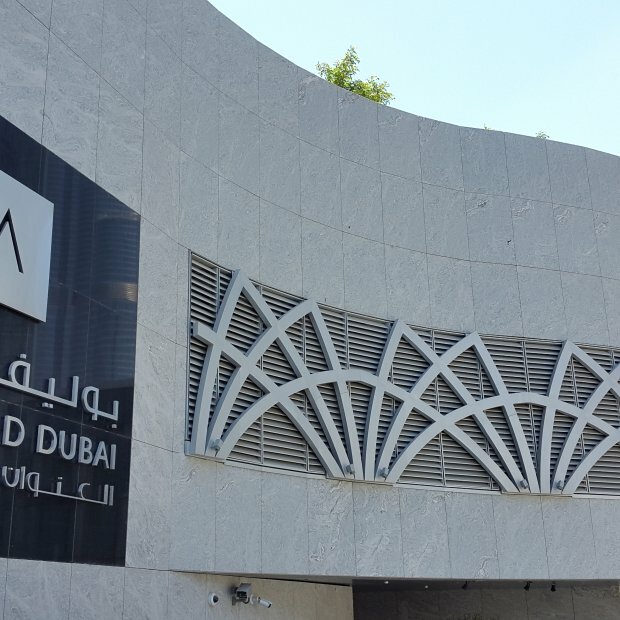 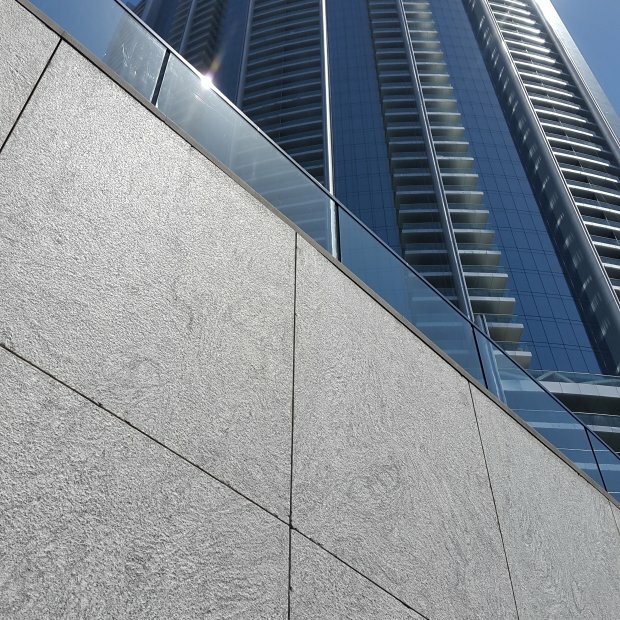 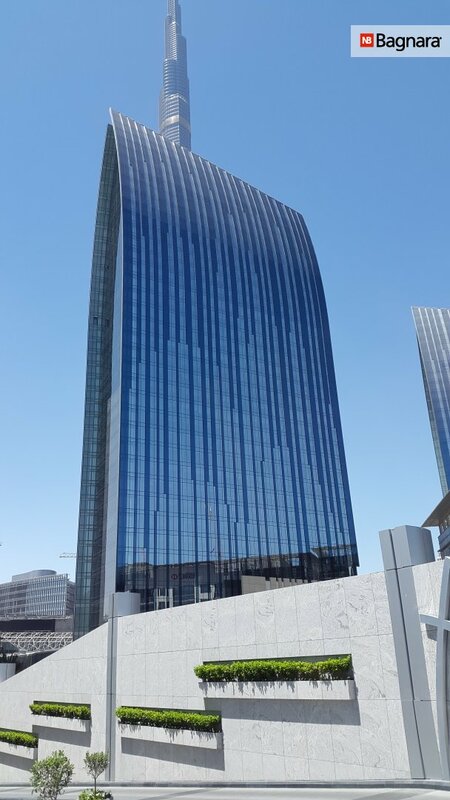 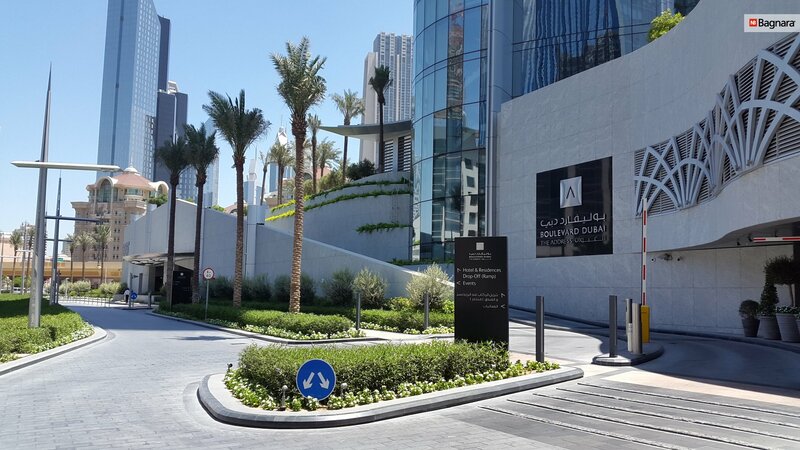 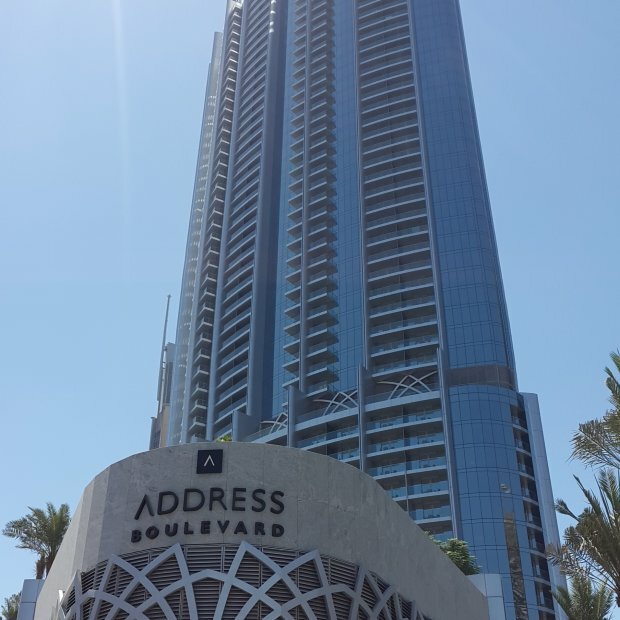 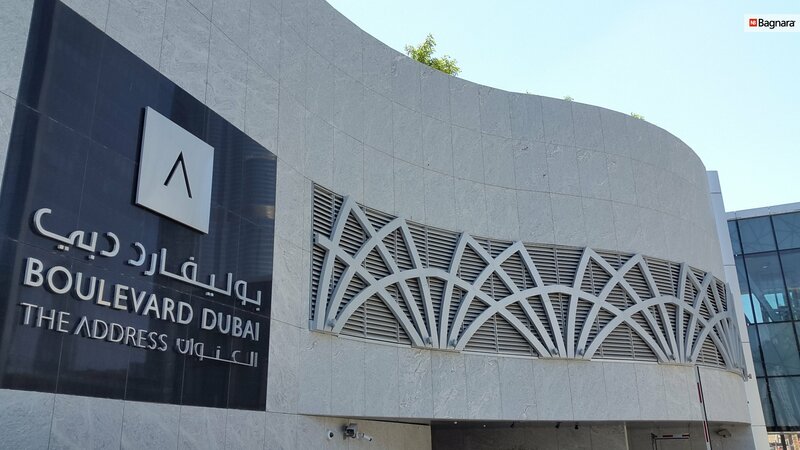 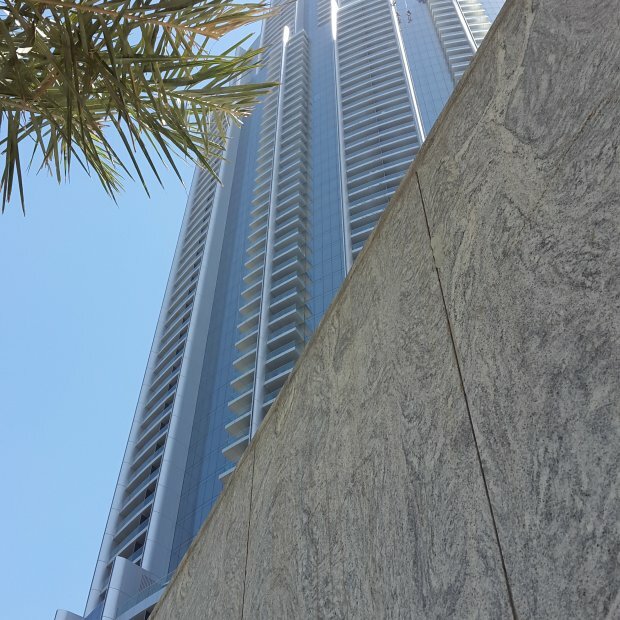 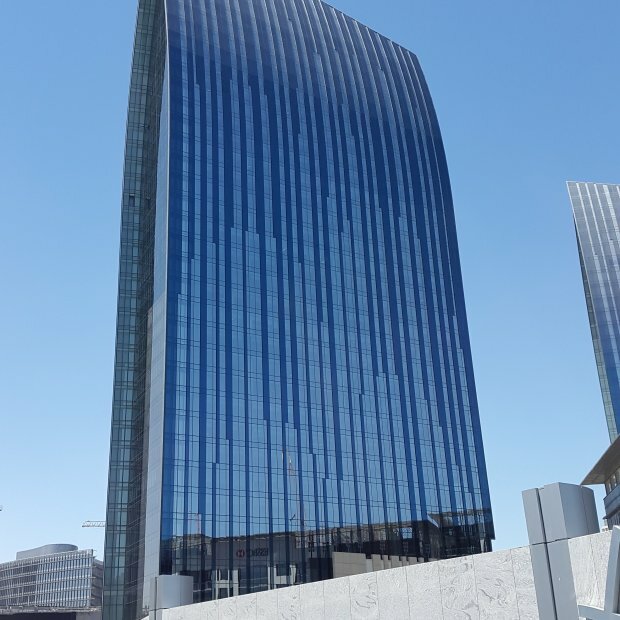 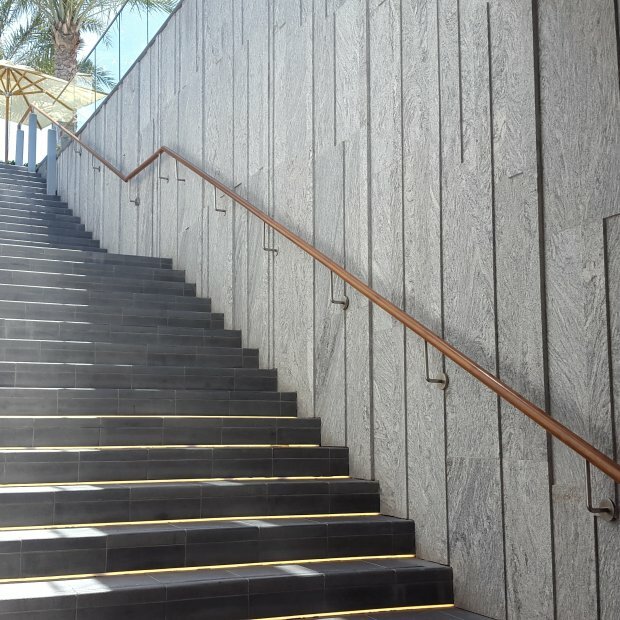 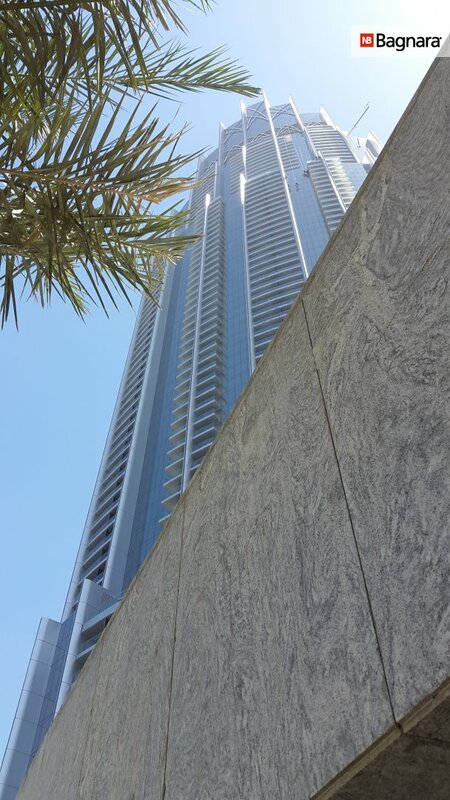 Over 300 cubic meters of the US-American granite Silver Cloud are installed around the prestigious hotel “The Address” in Dubai. 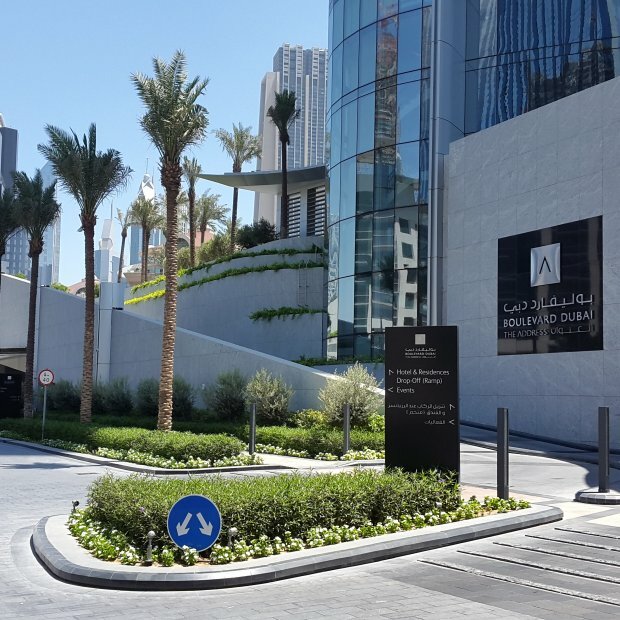 Diverse façades, bricks and floors clad the boulevard in the heart of Dubai, where thousands of people circulate every day. 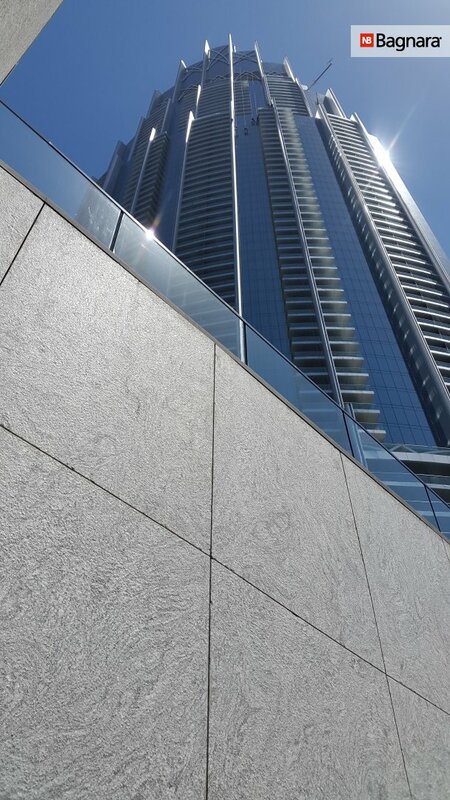 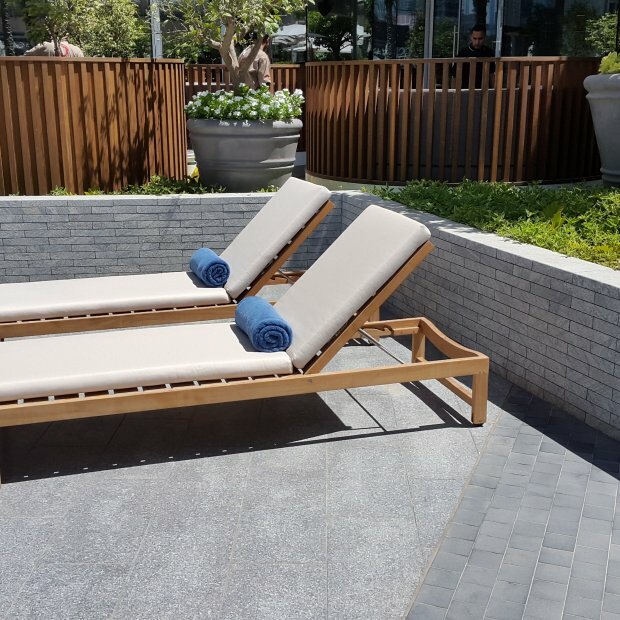 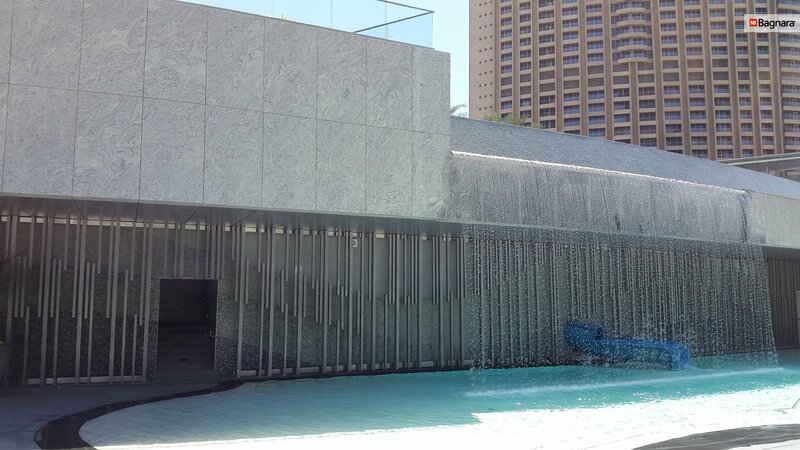 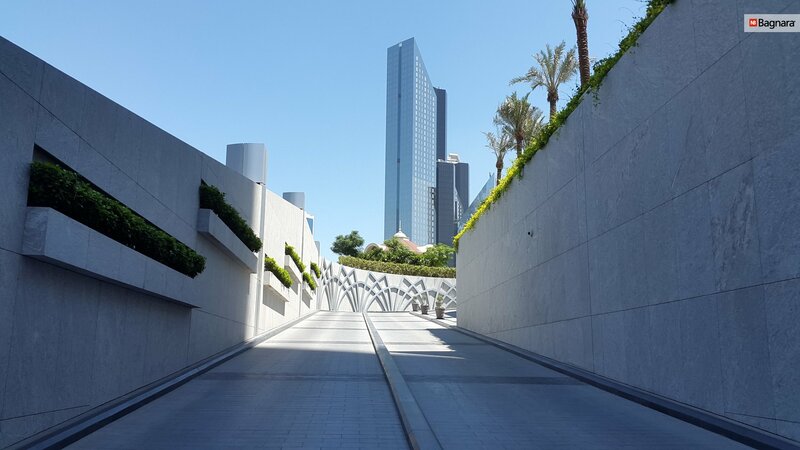 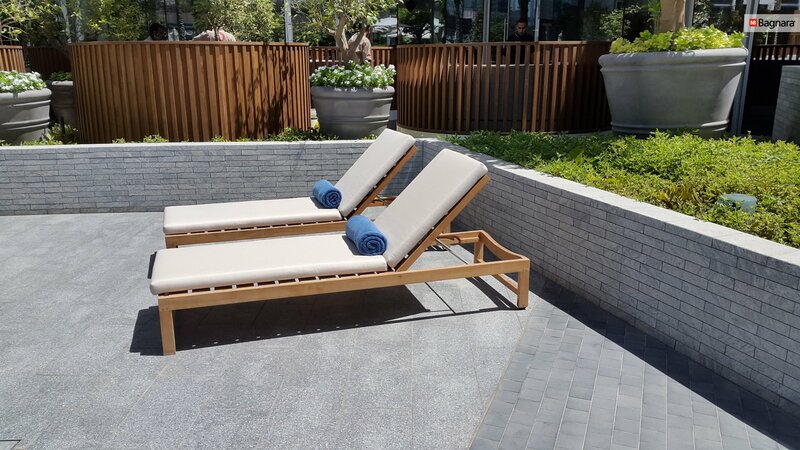 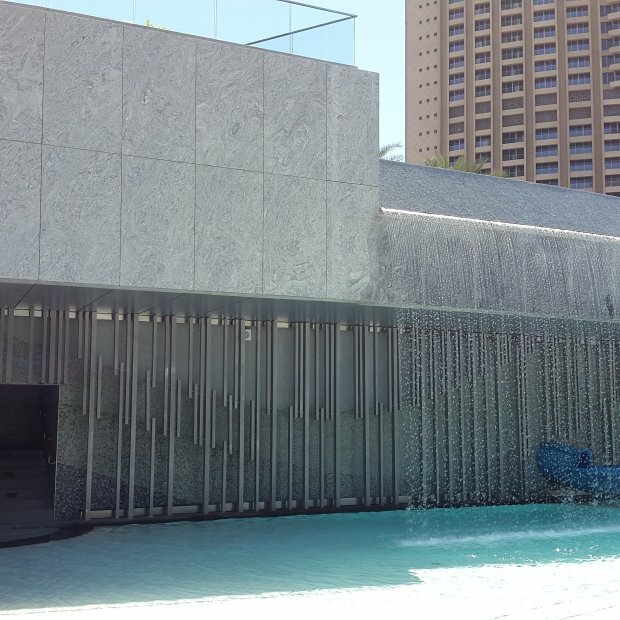 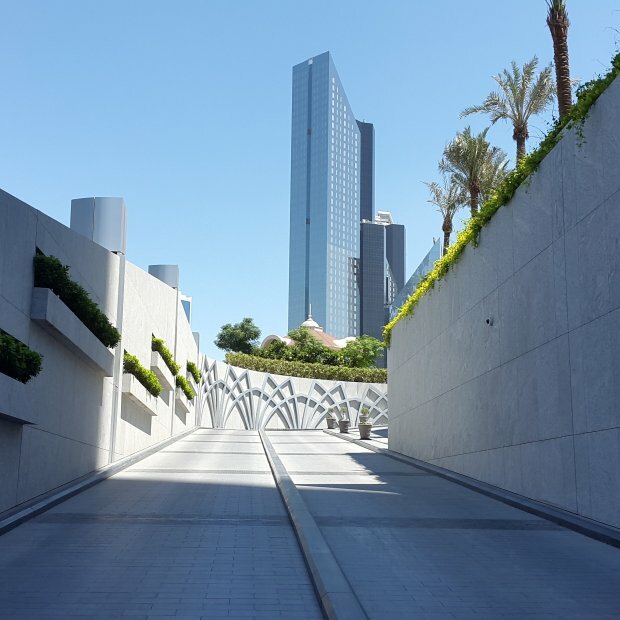 Thanks to his excellent technical properties, the desert city’s great heat and sun exposure are no problem for the installed natural stone.